The Durango has standard Active Head Restraints, which use a specially designed headrest to protect the driver and front passenger from whiplash. During a rear-end collision, the Active Head Restraints system moves the headrests forward to prevent neck and spine injuries. The M-Class doesn’t offer a whiplash protection system. To help make backing safer, the Durango Limited/Citadel/R/T’s optional cross-path warning system uses wide-angle radar in the rear bumper to alert the driver to vehicles approaching from the side, helping the driver avoid collisions. The M-Class doesn’t offer a cross-path warning system. Both the Durango and the M-Class have standard driver and passenger frontal airbags, front side-impact airbags, side-impact head airbags, front seatbelt pretensioners, height-adjustable front shoulder belts, plastic fuel tanks, traction control, electronic stability systems to prevent skidding and available all wheel drive. 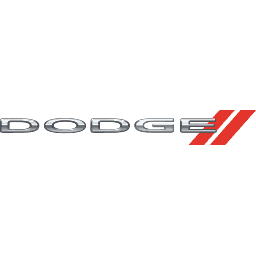 Dodge’s powertrain warranty covers the Durango 1 year and 50,000 miles longer than Mercedes covers the M-Class. Any repair needed on the engine, transmission, axles, joints or driveshafts is fully covered for 5 years or 100,000 miles. Coverage on the M-Class ends after only 4 years or 50,000 miles. The Durango’s corrosion warranty is 1 year and 50,000 miles longer than the M-Class’ (5/100,000 vs. 4/50,000). 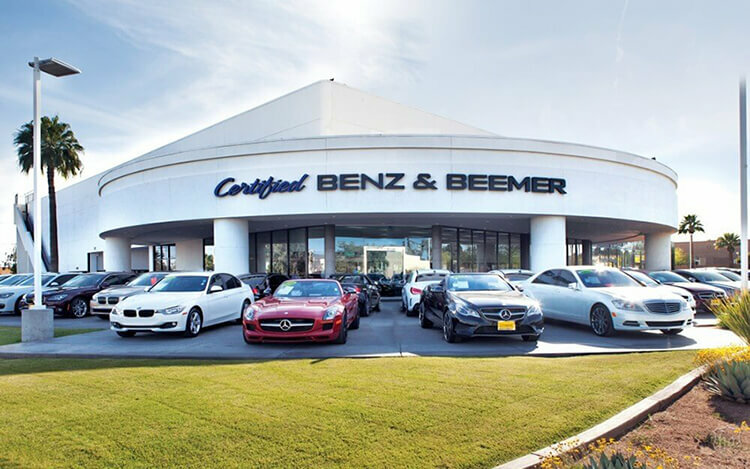 There are over 9 times as many Dodge dealers as there are Mercedes dealers, which makes it much easier should you ever need service under the Durango’s warranty. An engine control system that can shut down half of the engine’s cylinders helps improve the Durango V8’s fuel efficiency. The M-Class doesn’t offer a system that can shut down part of the engine. To lower fuel costs and make buying fuel easier, the Dodge Durango uses regular unleaded gasoline (mid-grade octane recommended with the 5.7 V8 engine for maximum performance). The M-Class requires premium, which can cost 5 to 40 cents more per gallon. The Durango HD’s optional front and rear disc brakes are vented to help dissipate heat for shorter stops with less fading. The rear discs on the M-Class are solid, not vented. For better traction, the Durango has larger tires than the M-Class (265/60R18 vs. 255/50R19). The Durango offers an optional full size spare tire so your trip isn’t interrupted by a flat. A full size spare isn’t available on the M-Class, it requires you to depend on a temporary spare, which limits mileage and speed before replacement. For a smoother ride and more stable handling, the Durango’s wheelbase is 5 inches longer than on the M-Class (119.8 inches vs. 114.8 inches). For better maneuverability, the Durango’s turning circle is 1.6 feet tighter than the M-Class’ (37.1 feet vs. 38.7 feet). For greater off-road capability the Durango has a 2.86 inches greater minimum ground clearance than the M-Class (8.1 vs. 5.24 inches), allowing the Durango to travel over rougher terrain without being stopped or damaged. The Durango has standard seating for 7 passengers; the M-Class can only carry 5. The Durango has 1 inch more front headroom, 1.3 inches more rear headroom and .2 inches more rear legroom than the M-Class. The Durango’s cargo area provides more volume than the M-Class. The Durango Limited/Citadel/R/T has a standard remote vehicle starting system, so the vehicle can be started from inside the driver's house. This allows the driver to comfortably warm up the engine before going out to the vehicle. The climate system will also automatically heat or cool the interior. The M-Class doesn’t offer a remote starting system. The Durango’s instruments include an oil pressure gauge and a temperature gauge – which could save your engine! Often ‘idiot lights’ don’t warn you until damage has been done. The M-Class does not have an oil pressure gauge. To improve rear visibility by keeping the rear window clear, the Durango has a standard rear fixed intermittent wiper with a full on position. The rear wiper standard on the M-Class only has an intermittent setting, so in a hard rain visibility isn’t as good. Insurance will cost less for the Durango owner. The Complete Car Cost Guide estimates that insurance for the Durango will cost $190 to $1855 less than the M-Class over a five-year period. According to The Car Book by Jack Gillis, the Durango is less expensive to operate than the M-Class because it costs $294 less to do the manufacturer’s suggested maintenance for 50,000 miles. Typical repairs cost much less on the Durango than the M-Class, including $378 less for a water pump, $105 less for an alternator, $405 less for a starter, $33 less for fuel injection, $562 less for front struts, $707 less for a timing belt/chain and $445 less for a power steering pump. Intellichoice estimates that five-year ownership costs (depreciation, financing, insurance, fuel, fees, repairs and maintenance) for the Dodge Durango will be $14538 to $18281 less than for the Mercedes M-Class. Both are recommended, but Consumer Reports® chose the Dodge Durango as its “Top Pick,” the highest scoring vehicle in its category, based on reliability, safety and performance. The Dodge Durango outsold the Mercedes M-Class by 47% during 2013.